Local people are invited to spend a summer’s day wandering around a private garden in Lisburn, thanks to the Ulster Gardens Scheme. The 2015 season comes to an end on Saturday 1 and Sunday 2 August, as Mrs E G Wilson, ‘Dawlish’, 70 Limehill Road, Lisburn, BT27 5LR opens her garden from 2pm to 5pm, on behalf of the National Trust, Northern Ireland’s largest conservation charity. This country garden offers interesting features at the turn of every corner and was the Bronze winner in the 2014 Belfast Telegraph’s ‘Bloomin Marvellous’ competition. There is a wonderful selection of conifers, ornamental trees and shrubs giving all year round interest. The garden is partially suitable for wheelchairs. 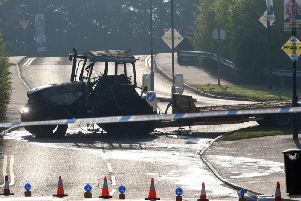 From centre of Lisburn, cross bridge towards Motorway. At traffic lights turn right onto Young Street. After 250 yards turn left onto Ballynahinch Road. Stay on this road, passing under Motorway. Approximately 400 yards from tunnel turn left onto Limehill Road. House on right.